January 26th was a unique day for ISCF & IKF Events in the South East. ISCF / IKF Promoter Gene Bautista (L) and his promotional team's "3rd Annual Fight For The Veterans" in Jacksonville, Florida, USA donated 100% of it's proceeds to "Fight For Veterans" which was $26,000.00 (As they have for the last 2 years, this being the 3rd) to the Veterans Farm. ISCF / IKF Promoter James Corbett (R) and his promotional team's "Bud Light's Winter Heat" event at the Mathis City Auditorium in Valdosta, Georgia, USA raised $9,000.00 for the House of Joy Church building fund, which again, was 100% of the events proceeds. This is Corbett's 15th year of promotions in Valdosta with Winter Heat. Such great actions by these individuals speak volumes of the promoters who are a part of the ISCF & IKF. "It was quite meaningful to me to be a part of all this along with what the ISCF & IKF has done here in Florida." Said ISCF & IKF Referee Josh Rutgers. "It's inspiring to see such upstanding people in the fight sport industry offer back so much. This is what truly sets the ISCF/IKF apart"
Gene Bautista and James Corbett and their amazing promotional teams for doing so much to help so many. We all look forward to the next event. 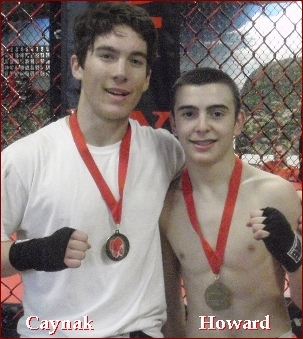 "3rd Annual Fight For The Veterans"
Winner: Ty Hanson KO at 22 seconds of round 1. Nick Brannon has been issued a 45 day Medical suspension until 3-14-13. Winner: George Melvan Unanimous decision judges scores of 30-27, 29-28, 29-28. Is the above Randolph Fields actually this Randolph Fields? Winner: Doug Rizzo TKO at 2:59 of round 1. Alex Cook has been issued a 30 day Medical suspension until 2-26-13. (****) Rizzo has been suspended until he shows proof of Date of Birth. 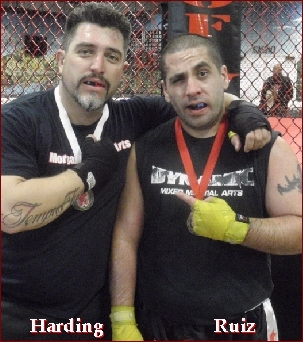 At the last ISCF Sanctioned event he fought on he gave his DOB as 10-29-85. Winner: Sean McCleary -Split Decision 29-28, 30-27, 28-29. Winner: Chris Conley-Split Decision 29-28, 29-28, 28-29. Winner: Muhhamed Amirov Unanimous decision 30-27, 30-27, 30-27. Winner: Esau Bright: Tap Out -Key lock at 2:29 of round 2. (****) Rollings fought on the ISCF Sanctioned First Coast Full Contact's "The Back Yard Brawl" May 14th, 2011, Jacksonville, Florida, USA, but did not register. Winner: James Spriggs Unanimous Decision 29-28, 30-27, 29-28. Winner: Nelson Blanco TKO at 1:26 of round 3. William Thurman has been issued a 30 day Medical suspension until 2-26-13. Winner: Royce Hollingsworth Unanimous Decision, 30-27, 30-27, 30-27. Winner: Colin Shoelin Unanimous Decision 30-27, 30-27, 30-27. Winner: Nathan Boyette-Split Decision 30-27, 30-27, 27-30. Winner: Jerome Robinson -Tap Out at 2:18 of round 1 -Rear Naked Choke. Winner Terrell Walker Tap Out -Choke 1:01 of round 2. Winner: Kevin Alford Unanimous Decision- 30-37, 30-27, 30-27. Winner: Ben Doomes TKO at 1:28 of round 2. Corey Thompson has been issued a 30 day Medical suspension until 2-26-13. Winner: Jesus Ocasio- Unanimous Decision, 30-27, 30-27, 29-28. Winner: Mike Castillo Unanimous Decision 30-27, 30-27, 30-27. Winner: Zack Elkins Rear Naked Choke at 2:37 of round 1. Winner: Brian Piccolo by TKO at 2:31 of round 2. Dustin Rainer is under suspension until cleared by doctor due to knee injury. Winner: Cameron Graham from a KO at 1:30 seconds of round 1. Jonathan Clarke has been issued a 45 day medical suspension until 2-26-13. Winner: Vanessa Grimes TKO at 2:10 of round 2. Brianna Smith has been issued a 30 day Medical suspension due to TKO until 2-26-13. Winner: JJ Roberts by TKO at 30 seconds of round 2. Zechariah Rainer has been issued a 30 day Medical suspension due to TKO until 2-26-13. Winner: Erimus Mills by Tap Out at 1:01 of round 1. Is the above Justin Cooper actually this Justin Cooper? Winner: Yehanathan Baumon by Tap Out (Triangle Choke) at 2:13 of round 1. Winner: Sedric Johnson by Tap Out (Choke) at 1:50 of round 1. Is the above Sedric Johnson actually this Sedric Johnson? Winner: Brok Weaver by Unanimous Decision. Winner: Billy Henaga by Split Decision 29-28, 29-28, 27-30. IN MEMORY OF THOSE LIVES LOST ON THIS DAY OF THE SPACE SHUTTLE CHALLENGER DISASTER. At exactly 11:28 AM EST today the Space Shuttle Challenger exploded just 73 seconds after lift-off. It was one of the saddest events of our lifetime and one of those events where you remember where you were, and what you were doing when you heard the awful news. President Reagan was to give a State of the Union address that evening; instead he delivered one of his greatest speeches ever. "Ladies and Gentlemen, I'd planned to speak to you tonight to report on the state of the Union, but the events of earlier today have led me to change those plans. Today is a day for mourning and remembering. Nancy and I are pained to the core by the tragedy of the shuttle Challenger. We know we share this pain with all of the people of our country. This is truly a national loss. " We mourn their loss as a nation together. " "For the families of the seven, we cannot bear, as you do, the full impact of this tragedy. But we feel the loss, and we're thinking about you so very much. Your loved ones were daring and brave, and they had that special grace, that special spirit that says, 'Give me a challenge and I'll meet it with joy.' They had a hunger to explore the universe and discover its truths. They wished to serve, and they did. They served all of us." " We've grown used to wonders in this century. It's hard to dazzle us. But for twenty-five years the United States space program has been doing just that. We've grown used to the idea of space, and perhaps we forget that we've only just begun. We're still pioneers. 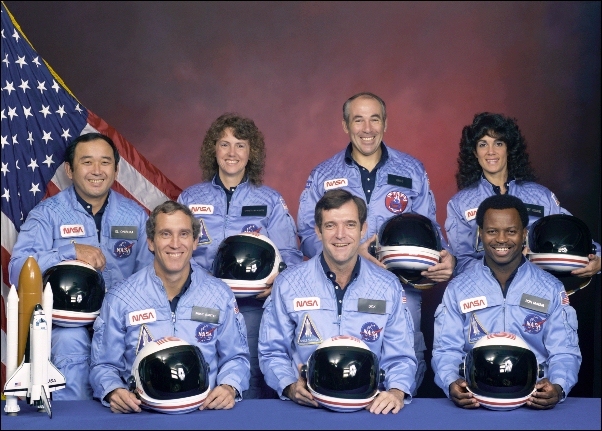 They, the members of the Challenger crew, were pioneers. And I want to say something to the schoolchildren of America who were watching the live coverage of the shuttle's takeoff. I know it is hard to understand, but sometimes painful things like this happen. It's all part of the process of exploration and discovery. It's all part of taking a chance and expanding man's horizons. 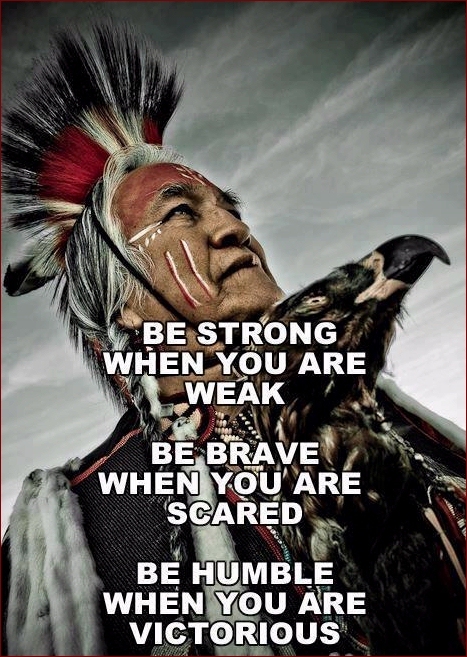 The future doesn't belong to the fainthearted; it belongs to the brave. The Challenger crew was pulling us into the future, and we'll continue to follow them. " "I've always had great faith in and respect for our space program, and what happened today does nothing to diminish it. We don't hide our space program. We don't keep secrets and cover things up. We do it all up front and in public. That's the way freedom is, and we wouldn't change it for a minute. We'll continue our quest in space. There will be more shuttle flights and more shuttle crews and, yes, more volunteers, more civilians, more teachers in space. Nothing ends here; our hopes and our journeys continue. I want to add that I wish I could talk to every man and woman who works for NASA or who worked on this mission and tell them: "Your dedication and professionalism have moved and impressed us for decades. And we know of your anguish. We share it."" "There's a coincidence today. On this day 390 years ago, the great explorer Sir Francis Drake died aboard ship off the coast of Panama. In his lifetime the great frontiers were the oceans, and a historian later said, 'He lived by the sea, died on it, and was buried in it.' Well, today we can say of the Challenger crew: Their dedication was, like Drake's, complete." "The crew of the space shuttle Challenger honored us by the manner in which they lived their lives. We will never forget them, nor the last time we saw them, this morning, as they prepared for the journey and waved goodbye and 'slipped the surly bonds of earth' to 'touch the face of God.' Thank you." 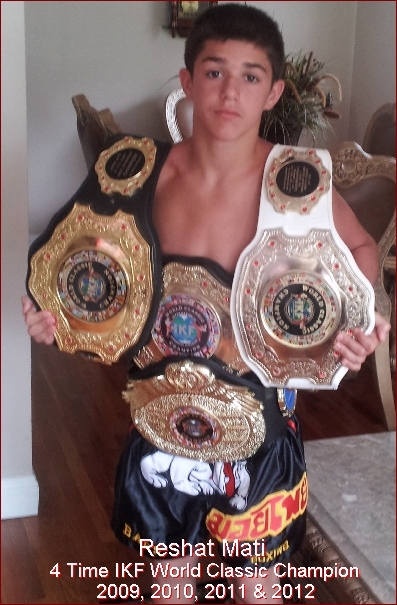 RESHAT MATI of Staten Island , New York, USA has a Kickboxing/Muay Thai record of 21-1 with 10 wins coming by KO/TKO. He is also an accomplished boxer with a record of 25-5 and has also excelled in Junior MMA with a record of 4-0. At 102 lbs, he has been called the "Albanian Bear". At thirteen years old, Reshat is already a 4 Time IKF World Classic Champion (2009, 10, 11 & 12) and number 1 ranked Strawweight. He also has won a World Grappling title and is a United States National Silver Gloves boxing champion. 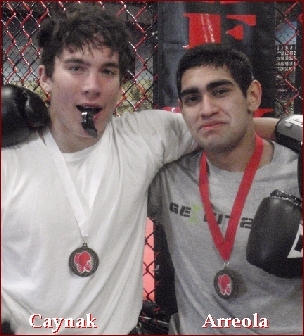 Reshat hails from a long line of proud fighters and dreams of being both a professional boxer and MMA champion. adrenaline-fueled world of youth boxing and martial arts. STRAWWEIGHT CATCHWEIGHT FCR: 102 to 106lbs. defeated Daniel Sen, (Boiling Springs, South Carolina, USA, 27-3, 106, 5'2", 13, 4-6-99, Kevin Hudson, (864) 905-5425) by TKO at 1:26 of round 2. JUNIOR LIGHT MIDDLEWEIGHT, 90 lbs. - 94 lbs. - 40.90 kg. to 42.72 kg. defeated Alexander Dumas, (Lemon Grove, California, USA, 13-2/2, 94, 5', 12, 2-11-99, Alex Dumas, (619) 414-7746) by unanimous decision, 30-27 on all 3 judges cards. defeated Alexander Dumas, (Lemon Grove, California, USA, 12-1/2, 89, 4'11", 11, 2-11-99, Victor Beltran, (619) 424-5425) by unanimous decision, 30-27, 30-27, 29-28.
defeated; Chandler Guthrie, (Atlantic Beach, Florida, USA, 1-1, 73, 6'6", 9, 11-30-99, Dan Benaitis) by TKO at 52 seconds of round 1.
Who Will Challenge The Champ? "The QUEEN Of Muay Thai"
Is the above Chris Connoly, THIS Chris Connoly? PANTHEON 1 "TEMPLE OF THE GODS"
Our next event is Scheduled for March 16th at Team Quest Encinitas,1465 Encinitas Boulevard, Encinitas, CA 92024. Mark Your Calendars, and TRAIN HARD! Here are the Days Results! 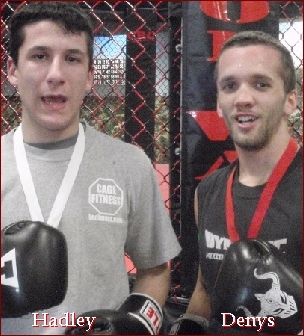 "AMATEUR MMA - K1 MUAY THAI"
Winner: John Andrews by Split Decision, 29-28, 30-27, 27-30. Winner: Keaton Shortt by TKO at 1:35 of round 2. Jeffrey Bradford received a 30 day suspension until Febuary 11, 2013. Winner Felix Navas by Unanimous Decision, 29-28, 29-28, 29-28. Winner: Justin Anderson by Tap Out at 1:36 of round 2. Winner: Michael Jones by Unanimous Decision, 29-28, 30-27, 29-28. Winner: Jamike Henry by Unanimous Decision, 30-27, 29-28, 29-29. Winner: Robert Cook by Unanimous Decision, 30-27, 30-27, 30-27. Winner: Eric Lotz by KO at 1:16 of round 1. Tyler Hanson received a 45 day Medical suspension until February 26, 2013. Winner: Marcelo Castaneda by Unanimous Decision, 30-27, 29-28, 29-28. Winner: Elvis Gashi by Unanimous Decision, 30-27, 30-27, 30-27. Winner: Robert Reed by Unanimous Decision, 29-28, 30-27, 29-28. Winner: Muhammed De'Reese by Unanimous Decision, 30-27, 30-27, 30-27. Note: These Two Jr's Are 17 Months Apart In Age. 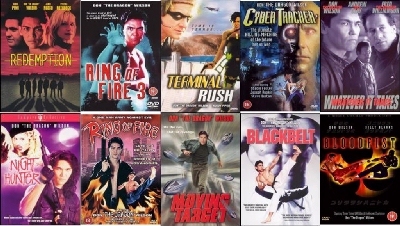 Eleven time World Kick-Boxing Champion Don "The Dragon" Wilson has been in over 30 action adventure films talks about his amazing career. 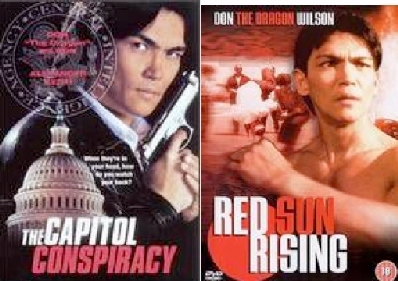 Don explains how he went from wanting to be a NASA engineer like his father to World kickboxing Champion, then actor. To check out all "THREE" parts of the interview start by clicking HERE. So who is Christie Philips? Ready For Second Pro MMA Bout! Tecia Torres of North Lauderdale, Florida, USA is a Multi Time IKF Muay Thai Champion. Torres is 16-4/2 in Kickboxing / Muay Thai, 7-0 in amateur MMA and is 1-0 in Pro MMA. Torres will be hoping to keep her MMA record flawless this Saturday, January 5th in Kansas City, Kansas at the Invicta Fighting Championships when she takes on Paige VanZant. Out of 4 trips to "The Show" Torres won the IKF World Classic Tournament 3 times. Her wins were her last 3 World Classic appearances in a row. 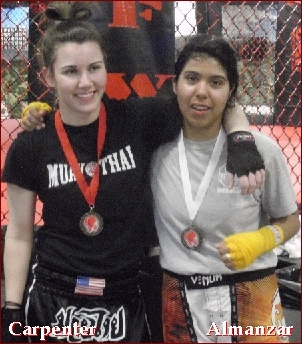 At her first IKF World Classic appearance in 2009 in Orlando Florida, Torres defeated her first two opponents by decision before losing in the Championship bout to Tiffany Connell of Bradenton, Florida by unanimous decision, 29-28, 30-27 & 29-28. At the 2009 IKF World Classic in Orlando Florida, Torres first defeated Lacey Roberts of Denham Springs, Louisiana by unanimous decision, 30-26, 30-26, 30-26. In her second bout of the day she defeated Lakesha Springle of Augusta, Georgia, USA by majority decision, 30-26, 29-27, 28-28. The next day in her Championship bout she defeated Jacqui Bradley of Burlington, Ontario, Canada by unanimous decision, 30-27, 30-27, 29-28 to take home the title. 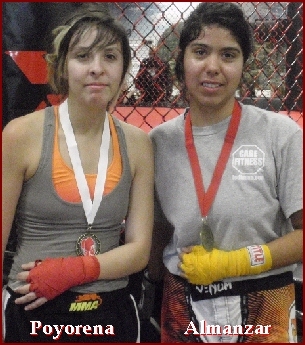 At the 2011 IKF World Classic in Orlando Florida, Torres defeated Carolina Muñoz of San Pedro, San Jose, Costa Rica by unanimous decision, 30-27, 30-26 & 30-27 to take home the title. 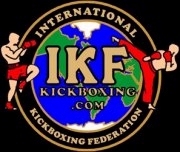 At this years 2012 IKF World Classic in Orlando Florida, Torres first defeated Karina Montero of Altamonte Springs, Florida by unanimous decision, 30-26 on all 3 judges cards. In her second bout of the day she defeated Michele Burke of Jacksonville, Florida by unanimous decision, 30-27 on all 3 judges cards. The next day on Championship Sunday she defeated Nicole Ball of Arlington, Virginia by unanimous decision, 30-27, 30-27 & 30-28 to take home the title. 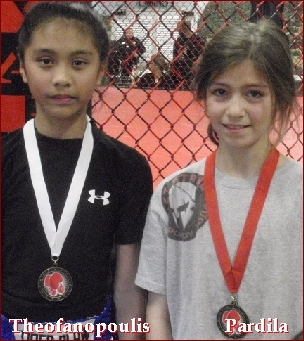 Tecia's MMA database page can be found by clicking HERE. Torres has been matched up against a fighter that is known to the IKF's sister organization for MMA, the ISCF. Former Ultimate Reno Combat fighter Paige VanZant, who fought her 1 and only amateur bout on a URC - ISCF Sanctioned event in Reno, Nevada. Her bout against Torres will be her 3rd Pro MMA bout. Paige's mma database page can be found by clicking HERE. VanZant and Torres have 1 common MMA opponent, Amber Stautzenberger. Torres beat her in a 3 round decision in Florida when Torres was an amateur and Stautzenberger had a 4-2 record. In VanZant's 2nd pro fight she fought Stautzenberger, also winning by a 3 round decision, in Texas. Although neither are knockout artist, this should be an interesting match-up. Many have thought VanZant turned pro way too soon after only 1 amateur mma bout. However after 2 wins, she has put some of the skeptics to rest. Although not a lot, while under 18, she has had amateur boxing bouts as well, but it's been said that she did not have a winning record. At weigh-ins today (Below) Torres weighed in at 115.6 while VanZant weighed in at 113.8. Needless to say, "ON PAPER" (Which has proven not to mean a lot) Torres would have a head and shoulders advantage above VanZant in the experience category. However, this is an MMA bout, where there are so many variables, and anything can happen in the flash of a second. Once again, The Invicta Fighting Championships will take place this Saturday, January 5th in Kansas City, Kansas. Also on tomorrow's Invicta Fighting Championships event will be current IKF Pro Muay Thai European Flyweight Champion Joanne Calderwood of Glasgow, Scotland. This is Calderwood's second appearance on the Invicta Fighting Championships event having won her last bout this past October against Ashley Cummins	by Knockout at 3:15 of round 1. Tomorrow night Calderwood will face off against Livia Von Plettenberg of Austria. 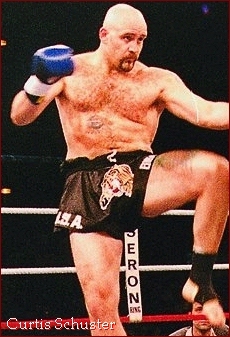 It's been said that Von Plettenberg is a Matt Lindland protégé and European Muay Thai Champion. However, we could not find "ANY" info of her even doing any Muay Thai, let alone being a European Muay Thai Champion in a web search. Regardless, if she's trained by Matt Lindland, she's sure to be ready to put on a show with Calderwood. Calderwood is 4-0 as a Pro MMA fighter and this will be Von Plettenberg's 2nd Pro MMA bout. Calderwood(19-2 in Muay Thai) won the IKF Pro Muay Thai European Flyweight title on September 13th, 2009 in Glasgow Scotland when she defeated Maria Curriki of Madrid Spain by unanimous decision. 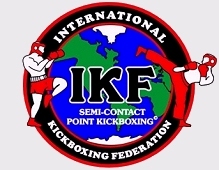 All of us here at IKF Kickboxing & ISCF MMA would like to wish everyone the best of luck this weekend. Invicta Fighting Championships (www.InvictaFC.com) is a world championship Mixed Martial Arts (MMA) fight series dedicated to providing female athletes with a major platform to hone their skills on a consistent basis. Founded in 2012 by longtime MMA executive Shannon Knapp and sports aficionado Janet Martin, Invicta is committed to pioneering the future growth of women's MMA by promoting the best possible matchups between female competitors and identifying and developing future superstars of the sport.